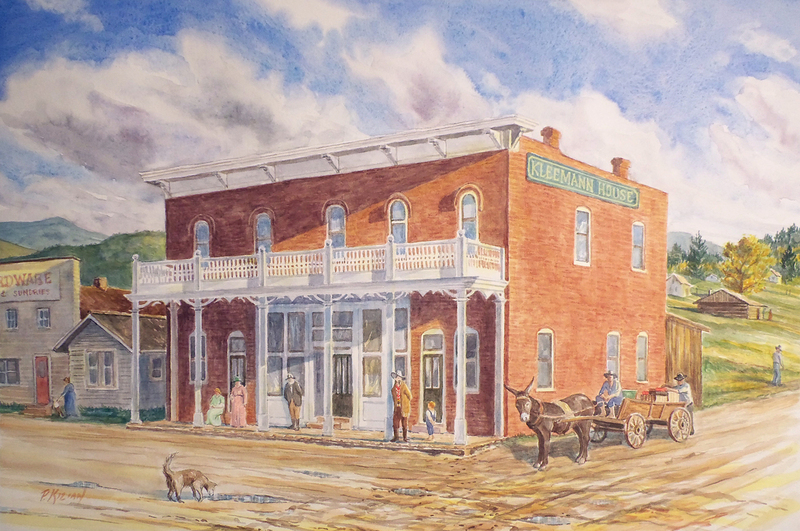 This painting presents a view of the historic Kleeman House Hotel, located in the Dakota Territory town of Custer, in the southern Black Hills. Buffalo Bill Cody was a guest in 1886. He is depicted here, looking at the little boy. The Kleeman House has been renovated and is located at its original location on Mount Rushmore Road.